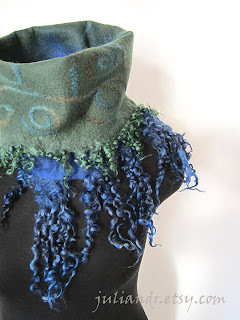 Part of "The philosophy of fleece" collection. 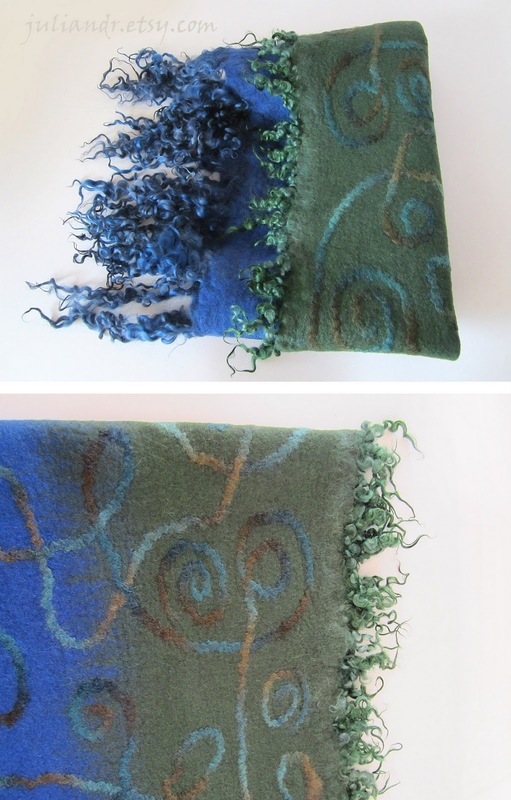 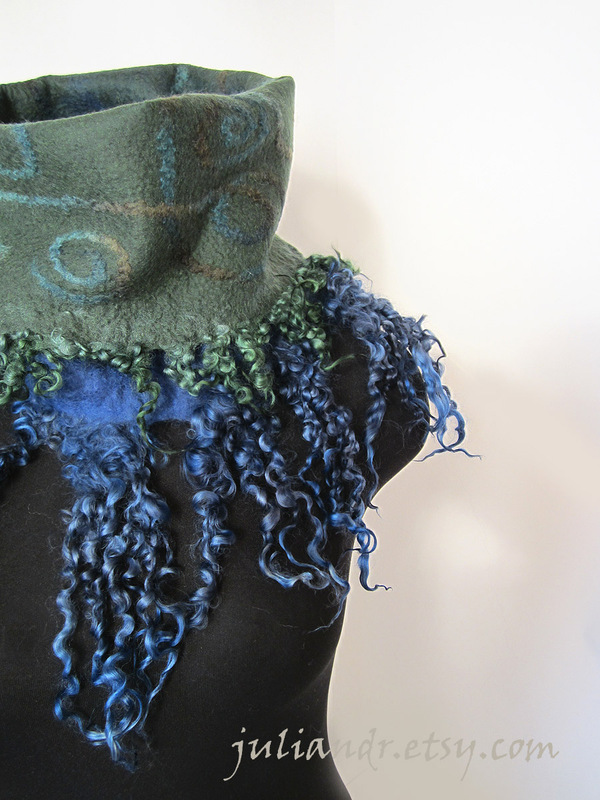 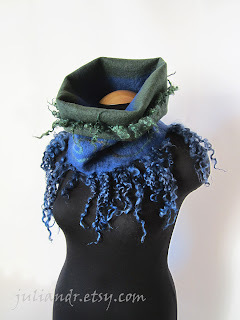 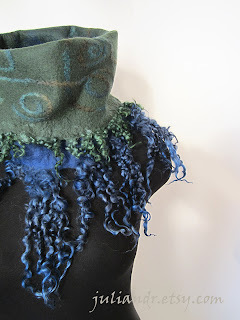 Two loop collar scarves decorated with splendid fleece curls. Approximate size - 32-34x34 cm., square. 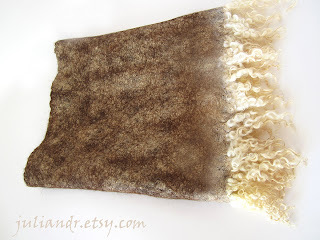 -- Those are undyed white wensleydale fleece locks wet felted together with lovely chocolate color alpaca wool. 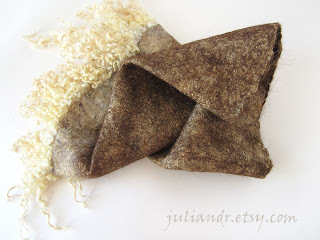 Alpaca is usually extra soft and tender, but also might be hairy. This one has a thick layer of golden tussah silk on it so it's texture becomes smooth and shiny. Both scarves are seamless. 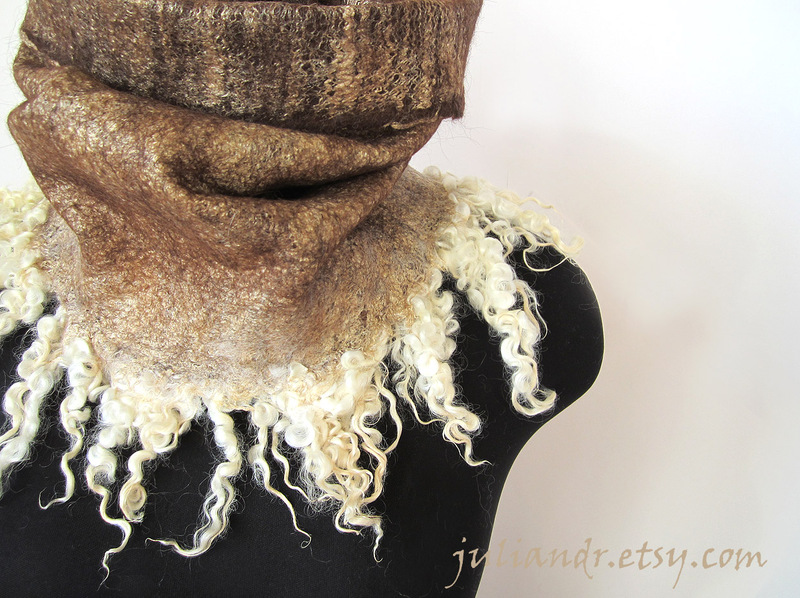 -- This one is made of extrafine Itaian merino, with hand dyed - absolutely lovely! - long and shiny wensleydale curls. 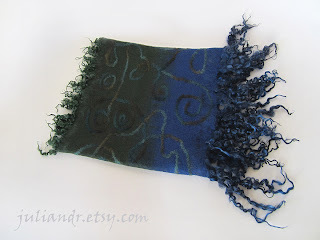 The blue ones reach length up to 15 cm. Decorated with multicolor woolen yarn on the outside. 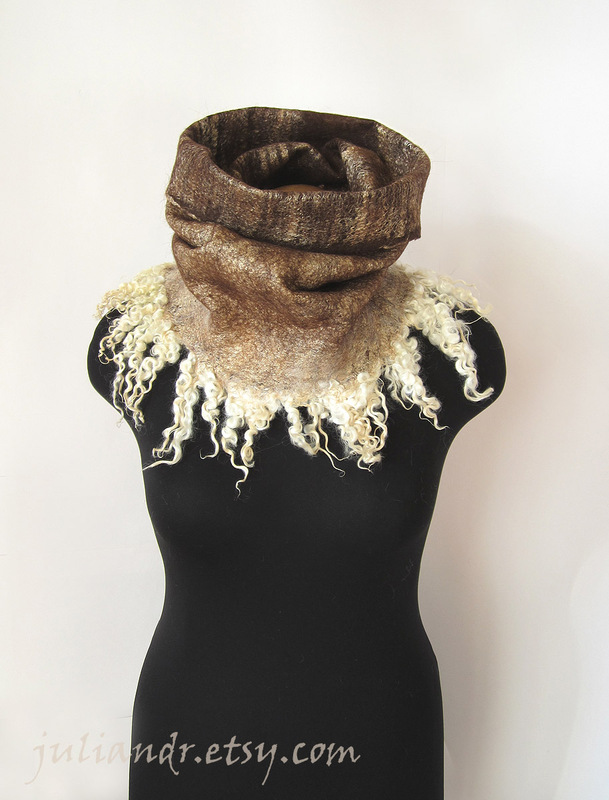 Wild and adorable.